I love to write; I have since I was wee. Every so often, an idea will just appear in my skull, asking to be born, to occupy some part of my mind for a while so it can curl up nice and toastily and slowly germinate into bookhood. It’s very pleasant and slightly itchy. The first time I can remember it happening, I was eight and was visited by a pea-sized idea about a knight who traveled the countryside accompanied by a dachshund. I spend a fair amount of time filling a spiral bound book with that tale, each page taken up with a little text and a lot of drawings of the knight and the dog and some dragon or damsel or crumbling castle. I loved making the book but I also loved having made it. There was always something so appealing to me about the idea of having a shelf of books each with my name on their spines, books that were oh so familiar and yet complete and independent and living lives of their own. That book about Sir Roger Watford and Nicky the Long gave me just such a thrill for the first time. Now I’m a grown up writer and I do have a shelf of books with my name tattooed on their vertebra. It’s as nice as I imagined it would be. Anyway, a couple of summers ago, I was visited by an idea on Fifth Avenue, near Madison Square, and by the time I reached my house, I was excitedly unwrapping it. It was a novel, it seemed, a novel for young adolescents, and frankly nothing to do with anything I had ever published. At that point, neither the idea nor I cared much about the fact that it was a red-headed stepchild — we loved each other and hung out every morning for months. The story unfurled like a bolt of silk. I just had to provide two fingers to do the typing and chapter after chapter rolled onto my screen. It inspired drawings too, just like the ones that opened each chapter f my favorite boyhood books. Then Patti read it and Jack read it and we all thought it time well spent. My (then-) agent loved the writing too. She just didn’t think anyone in their right mind would buy it. First of all, she said, it is clearly not about drawing or creativity or any of the subjects I have built my so-called career upon. And secondly, it’s a children’s novel about evil — exaggerated, funny, hard to put down— but still evil. I disagreed with my agent. The novel is not especially grisly or likely to inspire nightmares but it certainly is casual about things like murder for hire and con games and the best way to debone a corpse. I mean, it’s about evil. But in the nicest possible way. I wrote it after spending a number of years living with a child who seemed quite interested in evil things, in bad guys, monsters, killers, etc. And I, as a former child, remember being equally intrigued by sick and disturbing things. In fact, both Jack and I found that most children’s literature was just too moralizing and coddling about such matters, while there seemed to be no end to mayhem in the adult world that was easy for a child of any age to slip under the velvet rope and wade their way into — so what harm could there be in one more slab of unrepentant horrorshow that at least like, totally, used tween vocabulary? Despite my defense of the book, my agent has the Rolodex and wouldn’t show it to any publishers. Nope, no way. So the book went into a virtual drawer on my laptop until last year when I decided I really wanted to see that book’s spine on my shelf, by hook or crook. So, poor judgment notwithstanding, I had it printed and bound up and got the first glossy paperbacks into my collection at last. It looks awesome and is hi-larious and I just didn’t care what the stupid ladies in the publishing world said. It’s evil, it’s twisted, and it’s mine. Mwaaaahhhhhaha. Which brings me to to today. In 2012, I have become more and more devoted to my Kindle, packing huge stacks of books into its tiny frame and devouring them wherever I go. I love paper and ink and the feel of a real book in my hands but let’s be real — ebooks are clealry the way things are going. I know many of you may not yet have converted and that assumption has been holding me back a bit, frankly. I have so many little book ideas in my head that I’d love to write and illustrate and share with you right from my website, books that interest me and probably you, but don’t fit into the big publishing machine’s view of marketing. Unless we agree to go virtual, they will just remain ideas. 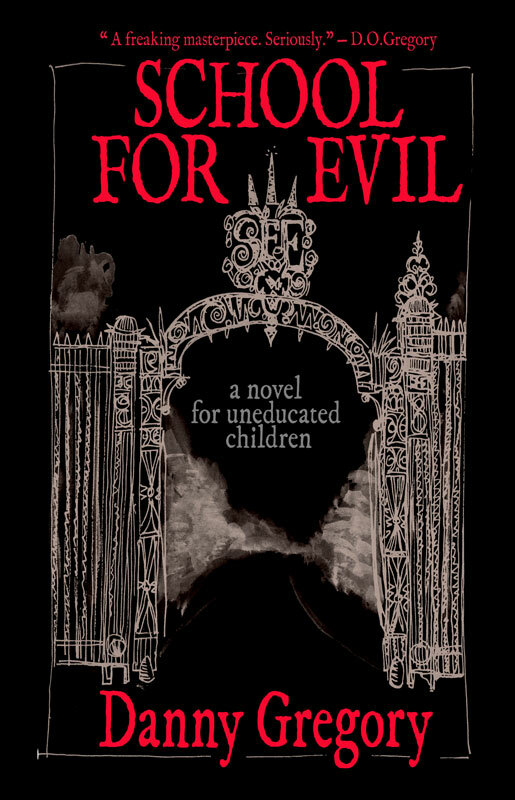 So I have decided, as a sort of initial salvo, to turn School for Evil into an ebook (e for evil) version on Amazon. And here’s the amazing bit: While my paperback is lovely and pocket-sized and as cheap as I can make it (I make, literally, one penny in profit — I think I have earned that), you will still have to spend a couple of bucks having it shipped. But the ebook version is as dirt cheap as I could make it. Just 99 paltry cents. That’s £0.75. A measly €0.86. What a steal! If you would like to see what all the fuss isn’t about, you can buy yourself (and any children you don’t care about) a few copies of “School for Evil” for an unlimited time only in either form. Both are ludicrously priced for an illustrated masterpiece and all proceeds will go to supporting my special brand of evil. Check it out and, please, read it with at least one light on. Buy “School for Evil” in paperback here. Criminally affordable. Do it now! 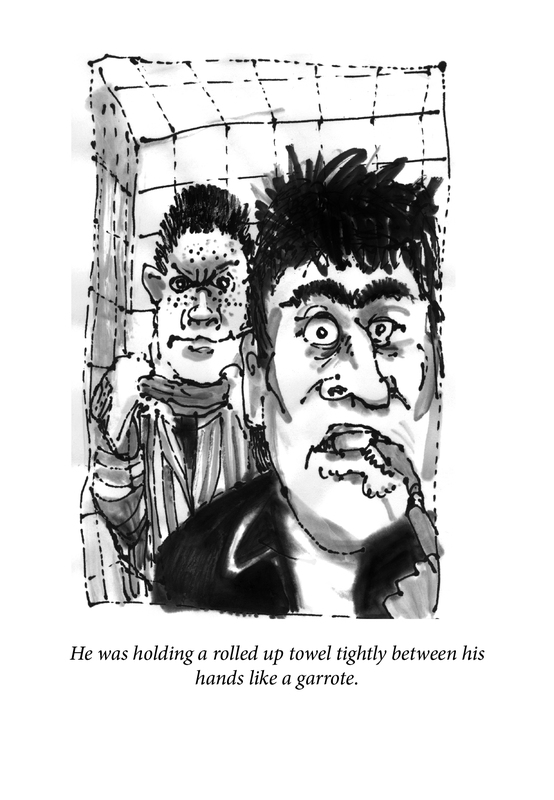 Or buy it the ebook version for your Kindle. Equally evil, less attractive on the bookshelf. So cheap it’s just wrong. Oh, and if you buy it and love it and want to help propel it to to the top of the Amazon charts (even though it’s not erotica or written by a drug-addled radio host or a pregnant celebrity who lost huge amounts of weight overnight while being attacked by zombies), tell your friends (particularly those in publishing) and me how much you loved it. —- But, wait, there’s more: Now my memoir of becoming a dad is also an ebook on Amazon for the same dangerously low price. 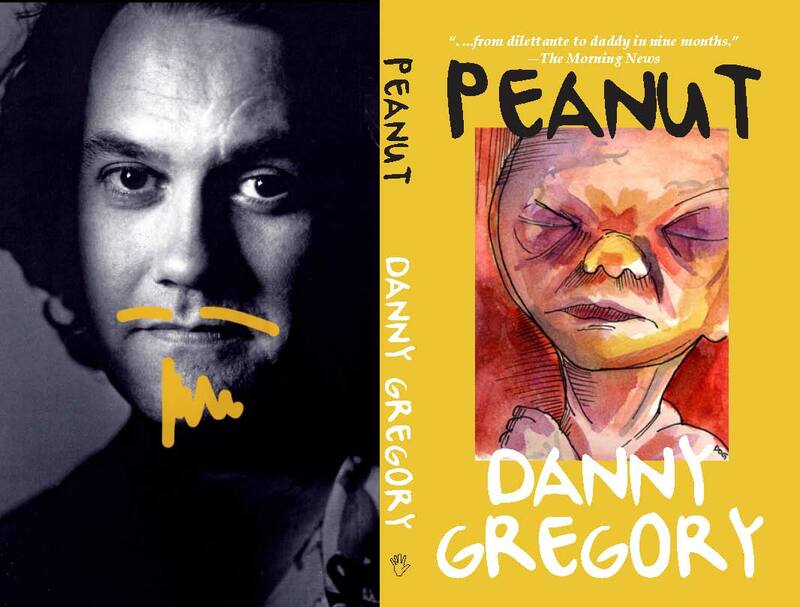 Put “Peanut” on your kindle right now. Okay. You’ve convinced me. I bought a Kindle version! The idea of an evil book is just too irresistible >:). I will! Started reading it last night already :-). I’m convinced, Your wicked sense of humor is contagious, so I’ve rdered both books for my Kindle! How we exciting. I think I almost have all your books now in a basket in my living room. Where I pull them out from time to time and pour over them (again and again)…I’d love to add these to my Danny Gregory collection! Shame on the “agent” for not seeing their worth. Having just read The Hunger Games, believe me lots of EVIL is attracting the younger set; and yours does not I fear look all THAT evil in comparison. 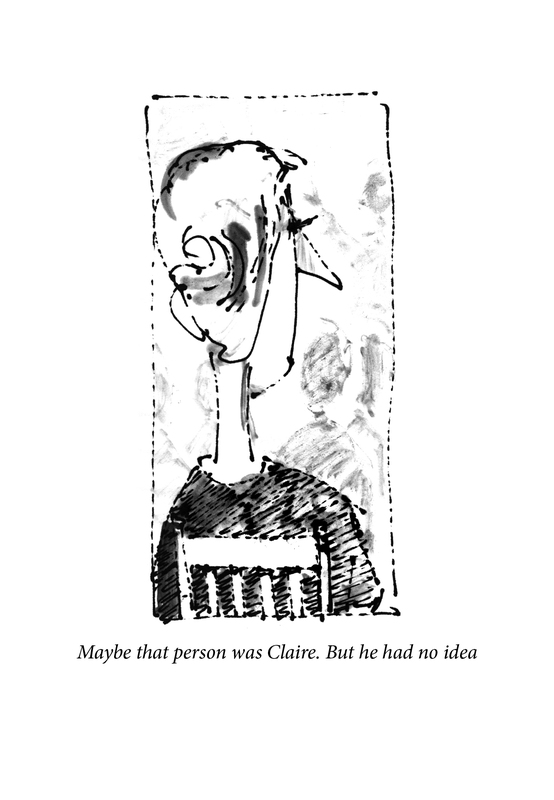 Perhaps you need to find that authors agent! Good luck, but bravo in the meantime for publishing them this way! Straight on to Amazon, bought for my kindle, now need to go and turn the Kindle on to download. Excuse my haste…. I have ordered the hand held one—I like to jump around and check back a lot—my Kindle doesn’t care for such shananagens…happy to add to my collection in a basket like Lynn…. Okay. Now I have a reason to buy that Kindle. Great idea! Some of us operate outside the Amazon ecosystem. Yes, please add a more universal format!! Misplaced my Kindle a while ago, been looking for it everywhere……gave up and just bought your paperback version! Bwuahahaha! Now I just KNOW I’ll find my Kindle…it’s Universal Law. Just ordered both books which look to be totally engaging. At my age took me awhile to get used to the e-thing but determined to keep up with the times (sigh). Sold – just need to wait until my kindle charges! 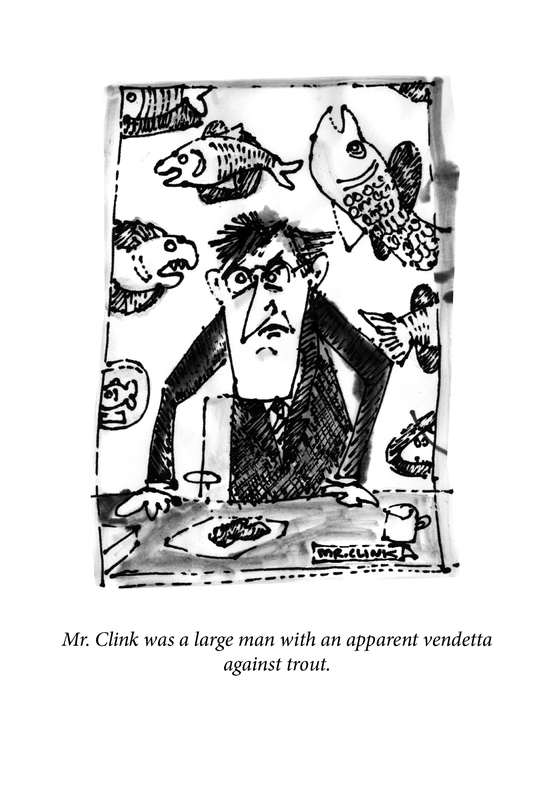 Please, please… do a Nook version. Yes, we need the epub or pdf version for Nook, Kobo, Sony and others! I love my copy of Me Time from Blurb. I will not cave into the e-reader. I enjoy being surrounded by books. Having several of them going in one time. Hanging out in bed on Sunday morning with the paper, coffee and being surrounded by books. If you roll around in bed with an e-reader you could get electrocuted. Do you really want to perpetuate such carnage? You ARE evil! One can always use a wickedly funny book. I bought both of the books for my Kindle. Now I too must go and download them …… Love your other books, so I do not see why I would not love these two ebooks. Get back to you with a review when I am done reading. Oh, and congrats on your new adventure! Bought both for my kindle. For readers who want to appreciate your art outside of the 6 inch screen, if you use Chrome (or I think Firefox) go to read.amazon.com and install the Kindle plug-in. Dear Dan, My Life is now Illustrated, I have learned that Everyday Matters and I look forward to enrolling in your School of Evil. I discovered Art Journaling about a year ago and am now starting Volume 5. Your work is a powerful inspiration and makes me proud to be another Art Journalist, capturing the details of my life as a spiritual discipline. Couldn’t resist the call to Evil… just downloaded them both and will be diving in tonight! Please add Nook to the list – and it’s worth far more than you’re charging. Good luck! 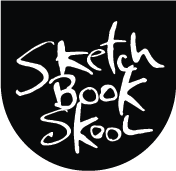 I came to your sketchbook video from DispatchfromLA blog and my artist daughter and I enjoyed it. (She wanted to know what pen you were using.) Now I’ll get your book for my virtual kindle on my pc. But. I bought The Creative License in 2006 and often dip into it, but I can’t read it comfortably because of that capital letter font. It would be lovely to change that font – which I know looks good, I just don’t relax reading capital letters. Wasn’t looking to buy a new book, but now I need this… the book itself isn’t available on Amazon, just the ebook version?